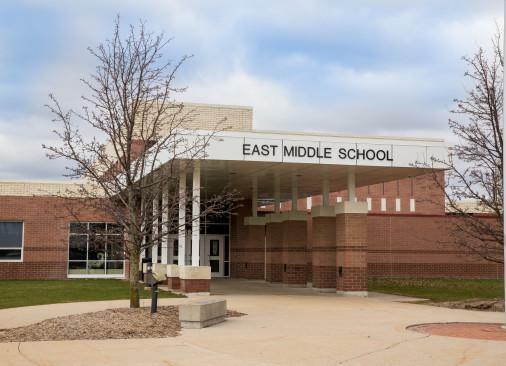 Amid fears of contamination, Rockford East Middle School shut off all of their drinking water fountains Thursday until further notice. The source of potential toxic chemicals in the water comes from a former dump site used by Wolverine World Wide about a half mile northeast of the school. Rockford Public Schools Superintendent Michael Shibler says he made the decision to shut off the water at Rockford East Middle School after The Department of Environmental Quality, Kent County Health Department and Wolverine World Wide informed him that the school's drinking water may contain toxic per- and polyfluoroalkyl substances. Water has already been shipped off for testing, and it may take up to a week and half for final results. In the meantime, Shibler says Wolverine World Wide has provided the school with thousands of bottles of water. The potential contamination stems from an old dump site that Wolverine World Wide used to depose of waste from a tannery. The company at the time waterproofed shoes using Scotchgard, the source of the toxic substances. Officials are shutting off drinking fountains and providing bottled water at a middle school in western Michigan as they test water for possible hazardous chemicals from a decades-old tannery waste dump site nearby. The Michigan Department of Environmental Quality announced precautionary measures Thursday at East Rockford Middle School. The agency says there's no evidence of contamination in the Rockford school's drinking water but says precautions will be taken until test results come back within about two weeks. he Grand Rapids Press reports that multiple properties near Belmont have tested positive for high levels of per- and polyfluoroalkyl substances, or PFAS. State toxicologists say exposure to PFAS have been linked through human studies to cancer as well as other health issues. Michigan and Kent County Health officials held a town hall Tuesday evening to address public concerns after contaminants were discovered in Plainfield Township drinking water. Joining the Michigan Department of Environmental Quality, officials from the Kent County Health Department as well as the Michigan Department of Health and Human Services answered questions from the public, many of whom demanded answers from officials about what they may know.